After the Civil War, African Americans placed poignant “information wanted” advertisements in newspapers, searching for missing family members. Inspired by the power of these ads, Heather Andrea Williams uses slave narratives, letters, interviews, public records, and diaries to guide readers back to devastating moments of family separation during slavery when people were sold away from parents, siblings, spouses, and children. In Help Me to Find My People: The African American Search for Family Lost in Slavery, Williams explores the heartbreaking stories of separation and the long, usually unsuccessful journeys toward reunification. Williams has events this summer in North Carolina and Virginia. See her author page for details. In the following interview, she discusses the stories and emotions she found in African American “information wanted” ads that still resonate today. Q: You begin Help Me to Find My People by talking about moments of discovery when you were doing research in the black newspapers that began publication after the Civil War. What did you find there? A: While researching African American education during slavery and in the years immediately after emancipation, I thought I might find evidence of what African Americans were thinking about education and schools in the newspapers that they began publishing right after the Civil War ended. As I searched through those papers I began to encounter advertisements labeled, “Information Wanted,” in which former slaves searched for family members from whom they had been separated during slavery. I had seen a few examples of these ads in books about the Emancipation Period, but when I began to see them in the newspapers I stopped and paid attention. Within two months I had found nearly 400 of them. Over the years I have found hundreds more. The ads were brief, perhaps just 4 or 5 lines, but they were emotionally powerful, conveying a sense of loss, and grief, and hope. It seemed to me that they had something to tell us about how African Americans had survived slavery and about the thoughts and desires they took with them into freedom. Q: This book is unusual in its exploration of the spectrum of emotions grounded in the material conditions of slavery in the American South. How difficult was it to explore thoughts and feelings of enslaved peoples? A: Finding any information about African Americans in the nineteenth century requires a great deal of research, a good amount of digging. These were obviously not wealthy, educated people who left volumes of journals, letters, and wills that fill archives. To do this history, I had to search in the archives that their owners and traders left in order to find fragments of information, such as a letter, or the name of an enslaved person on a list of people sold. Still, even though I may have found only one letter from a particular husband to his wife, for example, it was always well worth the search. One very rich source that former slaves did leave are slave narratives, some written during slavery by escaped slaves such as Frederick Douglass and others written after slavery ended. In these narratives, people spoke of their feelings for their loved ones and about their experiences of separation. Some provide poignant accounts of how it felt to lose a mother, a child, a sibling, or a spouse. They also speak to the hope of finding those relatives, and in a few instances, they describe reunification. Q: Do you also consider the emotions of whites regarding slavery? A: I was very interested in knowing what white people thought and felt about the separation of enslaved families, so I use one chapter of the book to explore the emotional responses of a number of whites including slave owners, slave traders, abolitionists, and visitors from the North. I use the slave markets with their auctions of humans as the site in which to observe and interpret whites’ responses. As you might imagine, I found a range of emotions including compassion, guilt, anger, disgust, and apathy. Q: Please tell us a bit about your own background. A: I became a historian after practicing law and teaching school. I attended Harvard Law School and began my legal career as a prosecutor at the Department of Justice in the Criminal Section of the Civil Rights Division. My cases included the prosecution of prison guards in Virginia for physical abuse of inmates and prosecutions of members of the KKK in Tennessee and North Carolina. I then worked in the New York State Attorney General’s Office where one of my assignments was the Tawana Brawley case in which an African American teenager accused three white men of sexually assaulting her. Although the work was certainly exciting I was never quite satisfied, so after ten years of practicing law I turned to teaching at my former school in Brooklyn Heights, New York. I fell in love with teaching and decided to get a Ph.D. It was in graduate school in the American Studies Program at Yale that I developed my keen and continuing interest in researching nineteenth-century African American history. My first book was Self-Taught: African American Education in Slavery and Freedom. Now that the second book is completed I am beginning to research a book that I am calling Murder on the Plantation. Q: Your book’s cover shows a fabric quilt of your own design and creation. What is the significance of the image? How does being a historian inform your work as a quilter and vice versa? A: I think the quilt on the cover really captures some of the pain of separation as well as the hope that some enslaved people held on to. There is a little girl’s dress, but no little girl, and the handwriting is traced from a letter sent by an enslaved woman to the family of her former owner asking what had ever become of her little girl. Vilet Lester, the child’s mother, was literate enough to write this letter seeking information about her daughter. She was hopeful that her current owner would be able to purchase the child and restore Lester’s family. One of the sad things about doing this work is that I do not know if Vilet Lester ever received an answer to her letter or whether she ever saw her daughter again. When I was in graduate school I found that I could not keep my quilting and my study of history apart. Many of my quilts since then have included images and texts from nineteenth-century African American history. The research, writing and quilting are ways of engaging with this very rich history, and I use all of it in the classroom when I am teaching undergraduates. On the first day of some of my African American history courses we spend time reading and analyzing some of the quilts, particularly one that includes a dozen images of runaway slave ads, the lyrics of spirituals, the Emancipation Proclamation, and an Information Wanted Ad. This exercise provides students with an opportunity to begin their exploration of slavery and to begin to hone their skills of historical analysis. Q: How often were families able to find each other as a result of advertisements seeking family members? Did you find much evidence of reunions? A: It isn’t possible to know. People imbued these short missives with hope and sent them out into the world, but as with Vilet Lester, it is almost always impossible to know the results. I found only one notice in a newspaper that a reunion had come about as the result of an ad. In one chapter of the book I take up the subject of reunification. My sense is that they rarely occurred and where I have evidence that they did, I am also able to see that sometimes finding a loved one could be problematic. People, particularly spouses, may have grown apart, perhaps married someone else. Sometimes children did not recognize their parents. Reunification did not happen often and when it did, there had to be a period of adjustment and decision-making about what the new relationship would be. Q: What did you learn about the resiliency of African Americans facing the loss of family? A: I found that enslaved African Americans had some resources from which they drew strength to cope with separation and loss. Some had a community of people who understood their fears and their pain and grieved along with them. Others relied on the music and words of hymns that expressed a belief that they would be with their loved ones again, or that God would not forsake them. Many also took steps to try to keep track of family members and to send word to them. Some wrote letters, but one woman sent a blue bead that she knew her son would recognize as hers. Some formed new families while at the same time maintaining memories of lost family members and sustaining a desire for reunification. But not all were resilient, some sank into depression and others essentially lost their minds, unable to cope with the loss. Q: What kinds of connections can be made between African American separation and loss during slavery and the experiences of other groups in other historical moments? A: The first that comes to mind is the devastating loss of family during the Holocaust and survivors’ searches across continents after the Second World War. The first chapter of the book looks at the experiences of children who experienced separation from their parents, which triggers thoughts of children shipped from England to Australia or from New York to the West on so-called orphan trains. We might say that forced family separation is universal, occurring through war, forced migrations, and in this case, slavery. Q: In the course of your research, you discovered a love letter from an enslaved man to his former wife. Why was this so extraordinary? A: I actually found two! But the first was one written by John Beck to his former “wife” Malinda. Wife is in quotes because enslaved people could not legally marry, but as I point out in the book, many of them lived in relationships that they considered marriage. John Beck wrote a letter to his former owner with a message for Malinda. He asked whom she was married to now. He told her that he had remarried but it had not lasted. It is a poignant letter, and I was shocked to see it. My first book, Self-Taught, was about education during slavery and the years after emancipation, but I had never imagined that I would ever see a love letter from an enslaved man to an enslaved woman. I was aware that some enslaved people had forged passes to get to freedom and I had seen letters from newly freed African Americans with rudimentary literacy skills addressed to government officials advocating for civil rights, but I had never seen a love letter. It was a remarkable find, and in the book I reflect on why Beck was moved to send the letter to Malinda several years after they had been separated. Q: What is the significance of the term “my people”? Q: How long might a search for one’s people continue? A: It’s hard to say how long any individual searched. Some of the newspapers published for only a short time and some of those copies were not preserved. Still, I saw many repeat advertisements over a period of months. People also used other methods for searching including writing letters to the Freedmen’s Bureau requesting that agents of the federal agency look for the missing family member. Sometimes the letters were just filed; in some instances, the agent went looking. Q: What links do you see between African Americans who searched for their relatives after slavery and contemporary African American genealogists searching for their ancestors today? A: I think of African American genealogists as continuing the search for family that I examine in the book. Of course, people from all groups engage in genealogical research, but African Americans are likely to encounter barriers erected in slavery and exacerbated by forced separations. An enslaved person, for example, may have only had a first name. That alone would make identifying the person difficult if not impossible. Add to that the fact that this person may have been sold and taken to another state and you have a very cold trail passed down through the oral history of a family. It then becomes very difficult to locate and identify family members in historical documents. Indeed, it is difficult to even know where to begin looking. Heather Andrea Williams, a former attorney with the U.S. Department of Justice and the New York State Attorney General’s Office, is associate professor of history at the University of North Carolina at Chapel Hill. 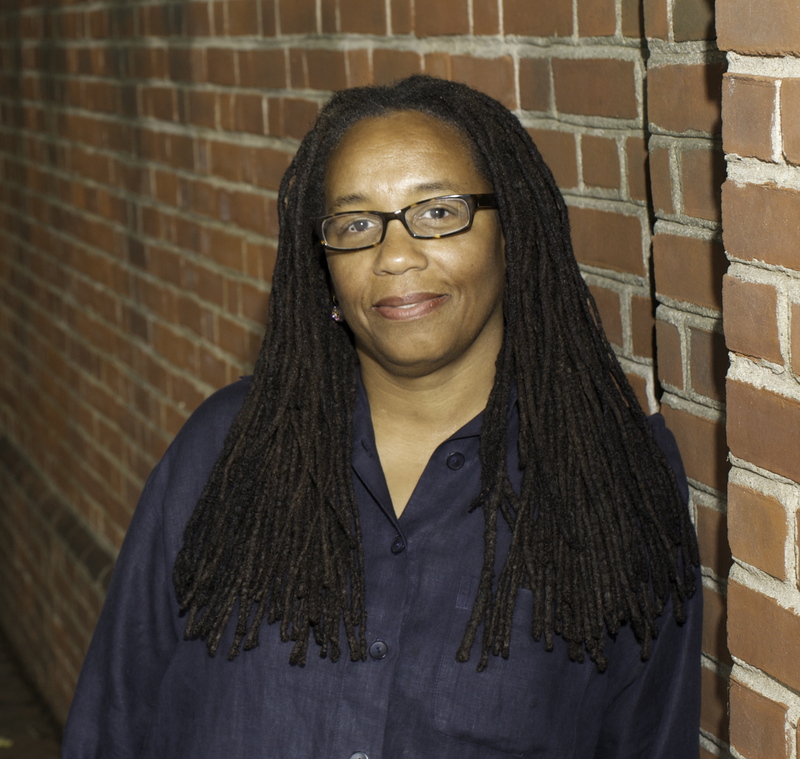 She is the author of Help me to Find My People: The African American Search for Family Lost in Slavery and Self-Taught: African American Education in Slavery and Freedom. I remember my mother talking about how difficult it was for African-American (AA) ex-slaves and slaves wanting to find their love ones. My mother also stated that they (AA ex-slaves/slaves) thought at times that their love ones were far away, when at times they were just over the next hillside, not knowing. Just the thought of that statement makes me just wonder how we got over.